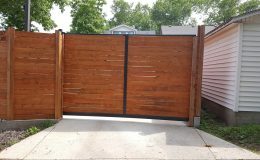 With DuraGates sliding gate hardware, any material can be used to fabricate a gate. 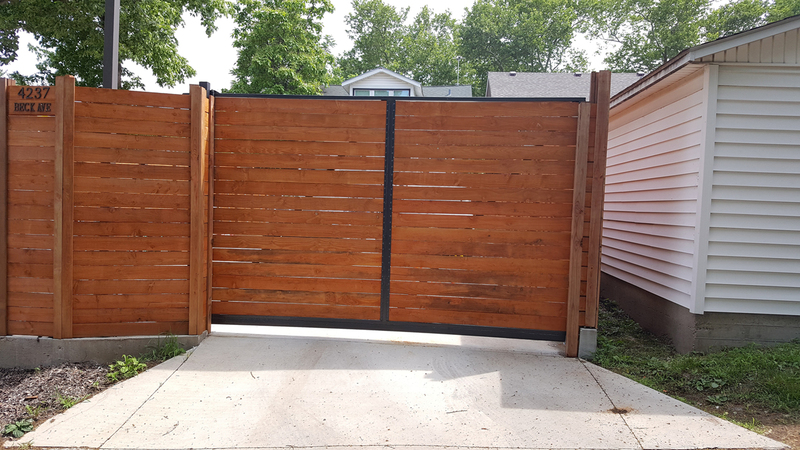 At this residence, the wood gate matches perfectly with the surrounding fence and provides the privacy required. 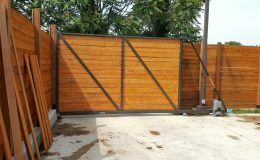 Due to the size of this gate, our smallest galvanized steel model, CGS-250.8M, was used. 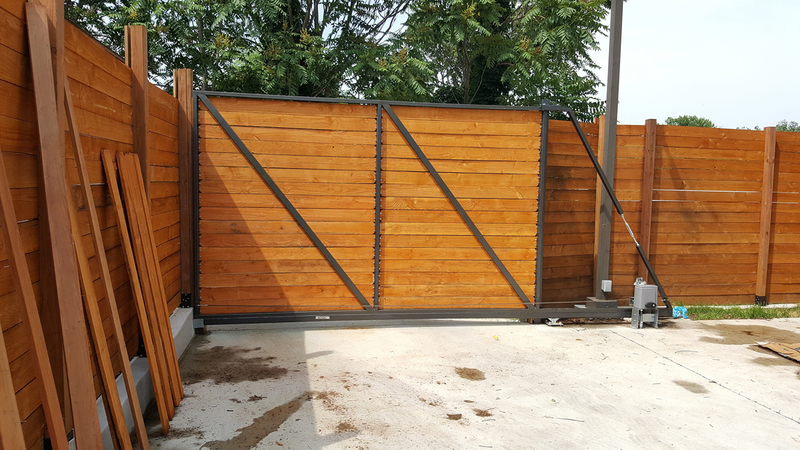 Thank you to Andrew for sharing his cantilever gate installation photos with us.